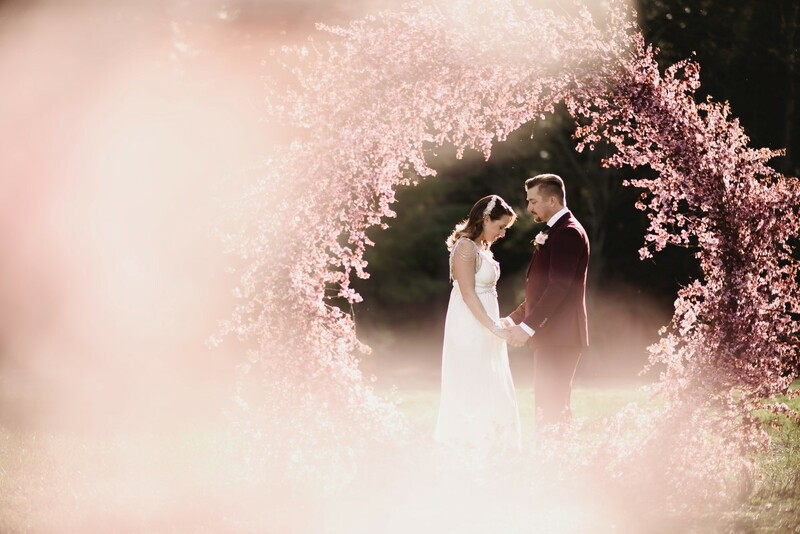 Cherry blossoms, a beautiful bridal couple and a perfect wedding ceremony wreath – mix them together and you have this lovely editorial showcasing of one of the most popular looks of this summer. 2018 has been a year of beautiful wedding trends and none more so than the ceremony circle wreath! 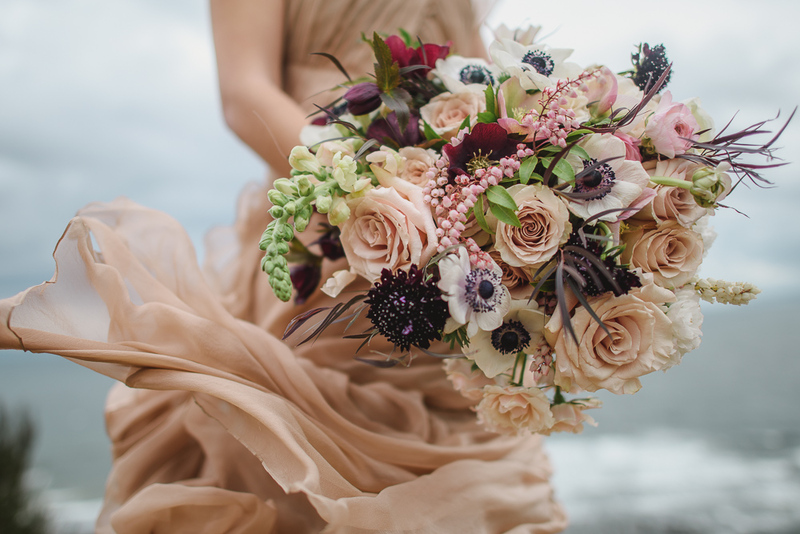 North Vancouver Island boasts amazing creative minds when it comes to wedding worthy editorials. Karen Bezaire of Bezaire Event Design created this wedding wreath which used almost a whole tree of cherry blossoms! North Island photographer, Erin Wallis, captured the picture perfect results. We loved the gorgeous bouquet filled with garden roses in various hues of pink, blush and beige! The cherry blossom ceremony arch is certainly the floral highlight but this bouquet by Purely Flower carries itself with the lush look. The groom brought extra style by wearing a deep maroon which complemented the entire colour scheme (any pink wedding editorial that does not dress the groom in pink gets extra points for being man friendly!). The bride was adorned in famous designer Anna Campbell by The White Peony. The lace top with beautiful open back and flowing skirt are just so romantic. The entire scene is filled with romance, style and the latest trend in ceremonies!